350 Guest rooms, Five stars hotel with 6 MVA, connected power and 800 R. Ton Air cooled chiller plant. 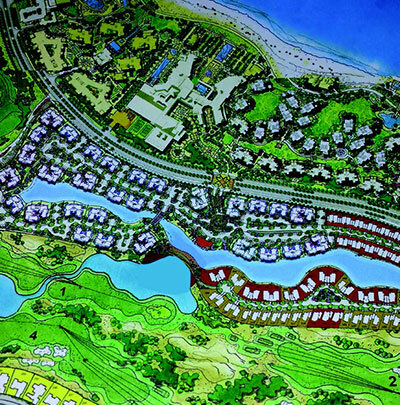 A parcel of a prestigious resort covering an area of 65,000 sqm, which accommodates around 50 villas and 50 town houses with total connected power 8.5 MVA. Working drawings and tender documents for all MEP networks and infrastructure. 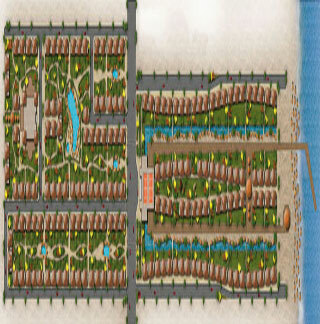 Resort include villas, Challet, swimming pools, mall, staff house, satallite kitchens and hotel building. 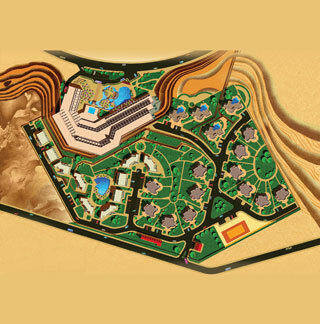 A Prestigious Resort covering around 2.5 M m2, accommodating 6500 chalets, 2000 villas and all related ancillary buildings. The total connected loads are around 40 MVA. 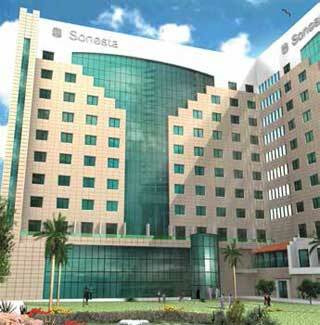 Hotel Building consists of 5 floors accommodating around 250 guest rooms with all related facilities and services. 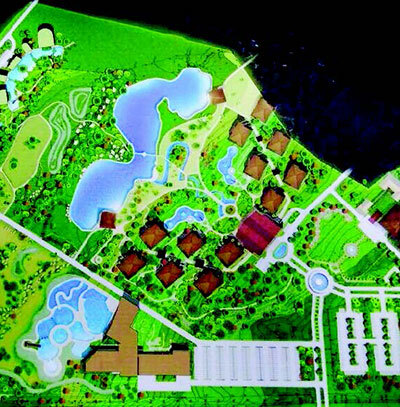 A Touristic Resort over an area of around 800,000 m2 accommodating around 1000 chalets, 5 swimming pools, 40 restaurants with all related ancillary buildings. The total demand load is around 8 MVA. 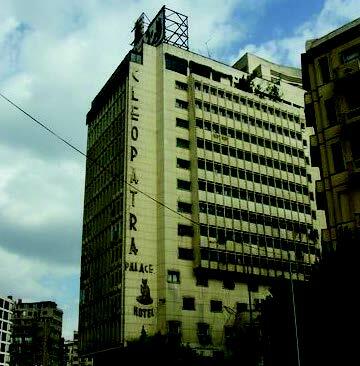 5 Stars hotel accommodating 320 guest rooms with all related facilities & hospitality requirements. The project is a luxurious resort managed by Dusit chain accommodating about 250 Guest Room, SPA, Conference Center, Bungalows & Entertainment areas. 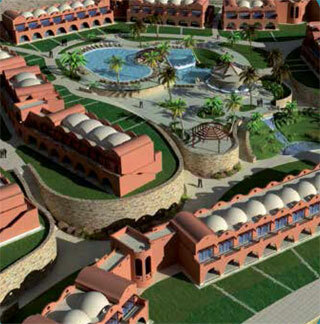 300 Guest rooms, Five Stars Hotel with an international Health Club and Golf Course. The total connected power is 4 MVA with 600 R.
Ton Air cooled chiller plant. 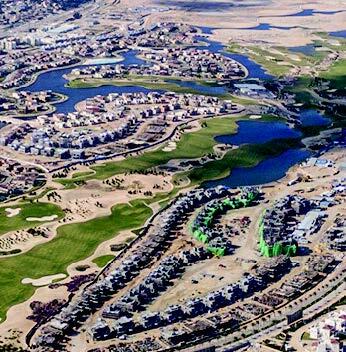 The project covers an area of 300,000 m2 accommodating 1000 Guest rooms, Five Star Hotel, 40 VIP villas, around 600 Chalets, International Multi purpose hall, 12 specialised Restaurants, Casino, Health Club,and all related facilities, the total connected power is 12 MVA and 2500 R. Ton water cooled chiller plant. 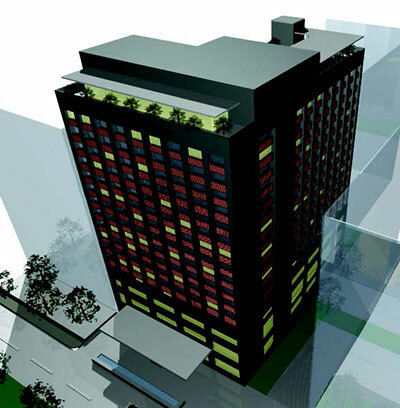 24 story apartment hotel with total built-up area of around 21000 square meter, the project is equipped with all Hotel facilities and the total connected load is 4 MVA. Working Drawings, Tender Documents of all MEP works. 5 floors, 15 suites 6 stars hotel on the Nile side with total connected power of 1 MVA and 300 R. Ton Air cooled chiller plant. 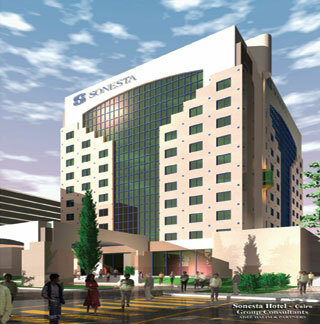 Complete renovation for the existing hotel in addition to two new executive floors, the total power connected is 4 MVA..
A new 10 floors building including 160 Guest rooms attached to the existing Hotel. The total connected power is 2 MVA with 600 R. Ton Air cooled chiller plant. 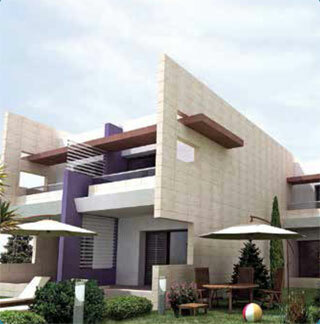 The project consists of the following: • Three Residential Towers 24 floors with around 1800 flats. • Two floors shopping Mall. 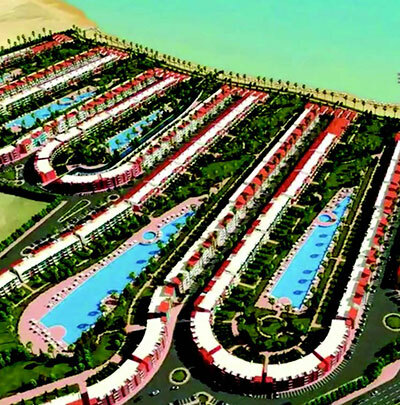 • Beach Hotel 125 G. Rooms The total connected power is around 20 MVA..
Marina Resort, North Coast, Egypt (Opened 2007). 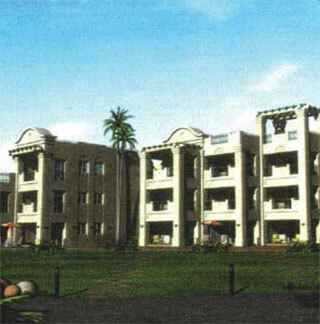 The project consists of the following: • Nine attached residential towers 12 floors with around 1000 flats. 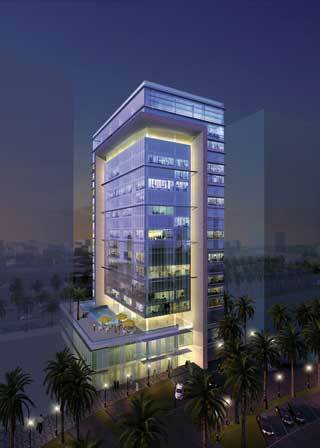 • An apartment hotel, 12 floors serving around 120 units. 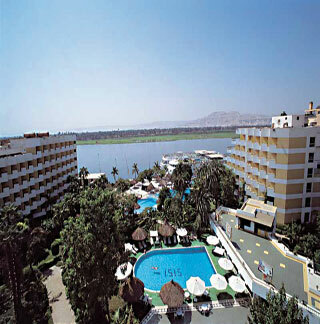 • Five stars 250 G. Rooms Hotel with an international Health club. The total connected power is around 20 MVA. 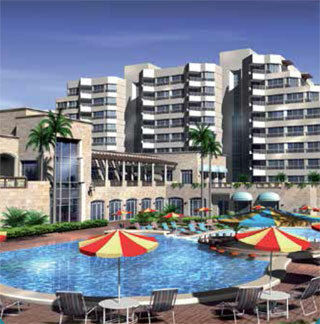 5 Floors Building accommodating 250 chalets and beach recreational facilities, total connected power is 3 MVA. 500 Guest rooms, Five Stars Hotel, 600 chalet, 60 villas and all related facilities with 8 MVA connected power. 300 Guest rooms, Five Stars Hotel & an international Health Club with 4 MVA connected power & 800 R. Ton water cooled chiller plant.. 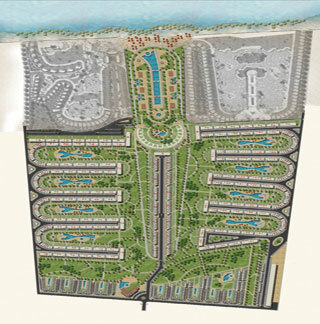 The project is a touristic resort accommodating 250 Guest rooms Five Stars Hotel, 600 villas, 700 chalets, Shopping mall and all related facilities with 10 MVA connected power. 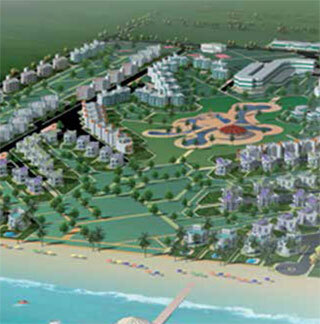 The project is a touristic resort accommodating 250 Guest rooms, Five Stars Hotel, 400 villas, 600 chalets, sports facilities & shopping mall with total connected power of 8 MVA. 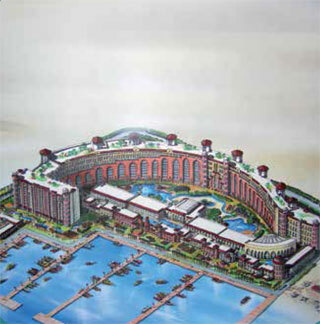 200 Guest rooms, 5 stars Hotel with 4 MVA connected power & 400 R. Ton A/C plant. A touristic resort covering an area of 200,000 m2 accommodating 250 Guest rooms hotel, 200 chalets and all related facilities, total connected power is 4 MVA. Working Drawings &Tender Documents for Electrical & HVAC works. 125 Guest rooms, 4 stars hotel with 1 MVA connected power. 300 Guest Rooms, four stars hotel with 3 MVA connected power. Preparation of Electrical Shop Drawings. 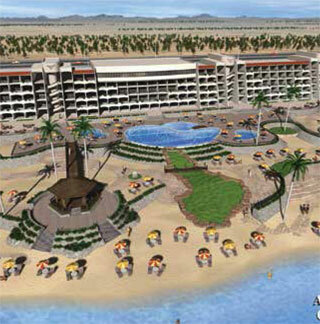 Four stars hotel, 250 Guest rooms with total connected power of 3 MVA. 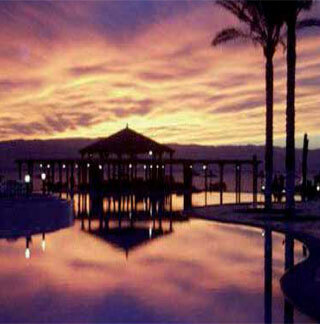 Touristic resort accommodating 10 VIP villas and 40 chalets with all related facilities. Total connected power is 2 MVA. Five Stars, 260 Guest rooms hotel with all related facilities, the total connected power is 3 MVA with 500 R. Ton Air cooled A/C plant. 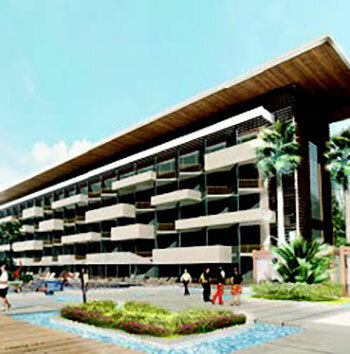 The project is a touristic resort accommodating 150 Guest rooms Five Stars Hotel, 600 chalets, shopping mall and all related facilities with 6 MVA connected power. Four stars hotel accommodating 350 Guest rooms,70 VIP villas, 250 chalets with all related facilities, the total connected power is 8 MVA. 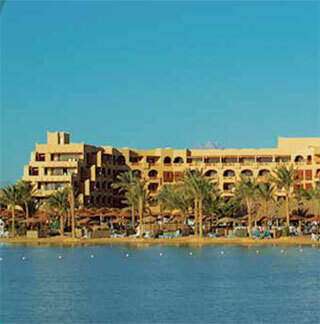 Five stars Hotel Resort with unique sea water lagoon. 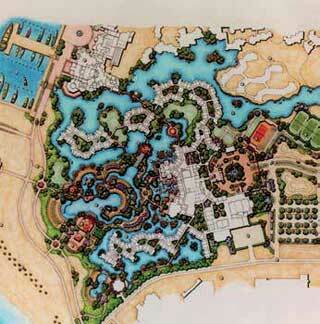 Working Drawings & Tender Documents for the lagoon and landscape lighting. 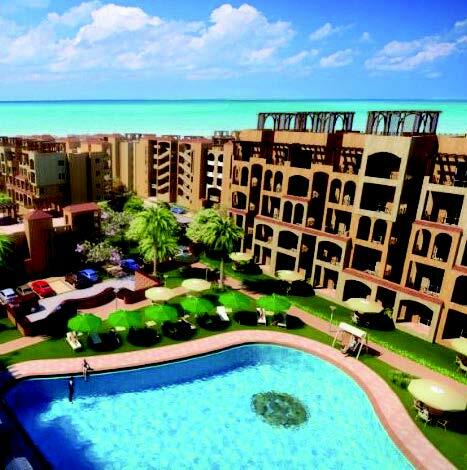 Marsa Allam, Egypt (Under Construction). 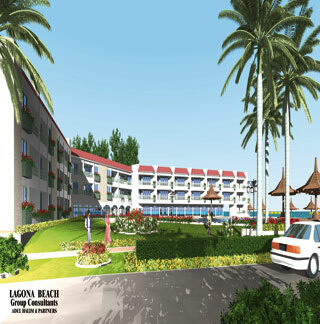 Four Stars, 250 Guest rooms Hotel, 50 VIP villas, 500 chalets and all related facilities with total connected load of 8 MVA. 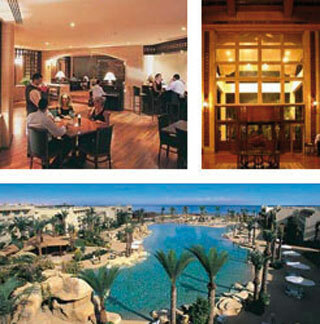 Partial renovations of an existing luxurious hotel on the Red Sea (former Inter Continental). 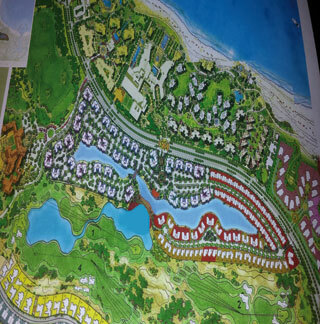 Working drawings, tender documents for all Electrical & Plumbing works..
A parcel of a prestigious resort covering an area of 106,000 sqm, which accommodates around 400 chalets, 50 town houses and 57. Total connected power of 9.5 MVA. Working drawings, tender documents for all MEP networks and infrastructure. 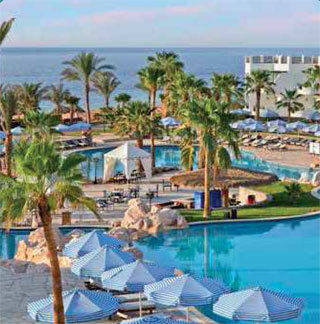 A touristic resort covering an area of 150,000 m2 and accommodating 100 Guest rooms, 3 stars hotel, 20 VIP villas, 100 chalets and all related facilities with total connected power of 5 MVA. 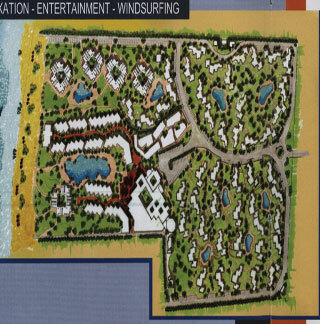 An extension to the a/m project adding another 80 VIP villas & 160 chalets and another 2 MVA. 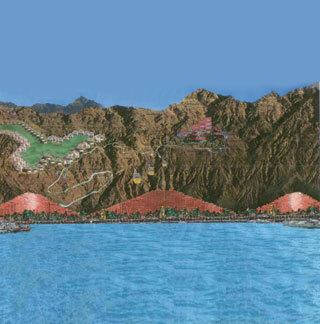 A touristic resort accommodating 30 VIP villas, 120 chalets, 50 Guest rooms, 3 stars Hotel with all related facilities. The total connected power is 3 MVA. 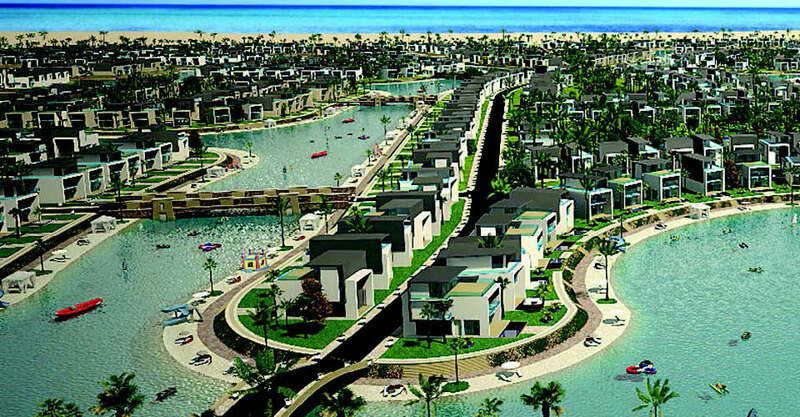 A touristic resort covering an area of 100,000 square meters and accommodating 180 residential blocks with a total number of 1,100 apartment with all related facilities. The total connected power is 10 MVA. Working Drawings & Tender Documents for all Electrical & HVAC works. 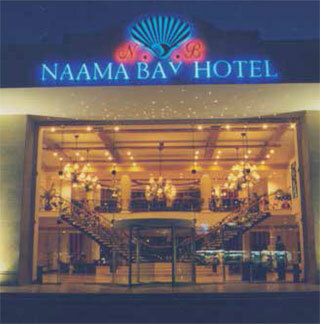 250 Guest rooms, four stars hotel with 3 MVA connected power. Working Drawings for the low-current systems. 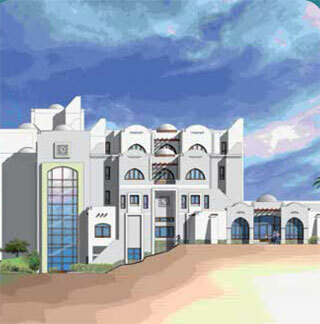 200 Guest rooms, Four stars hotel with all special facilities for divers, the connected power is 3 MVA. 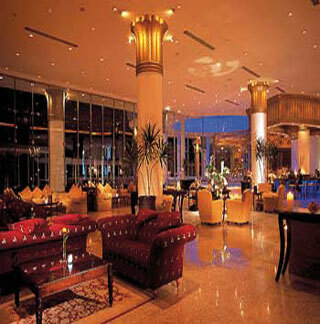 Four Stars Hotel for 150 Guest rooms with all related facilities. Total connected load is 3 MVA. Four stars, 260 guest rooms hotel, 50 chalets with all related facilities, total connected power is 3 MVA. Working Drawings & Tender Documents for Electrical & HVAC works. 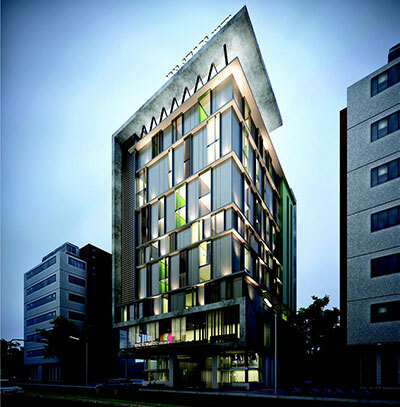 Five Stars Hotel, 300 Guest rooms with total connected power of 6 MVA. Preparation of Shop Drawings for Electrical work. 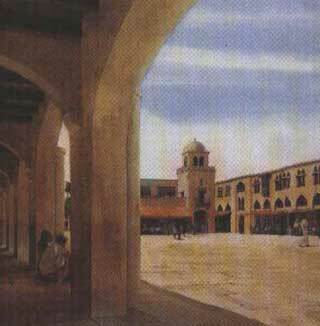 Ras Sudr, Egypt (Opened 2001). 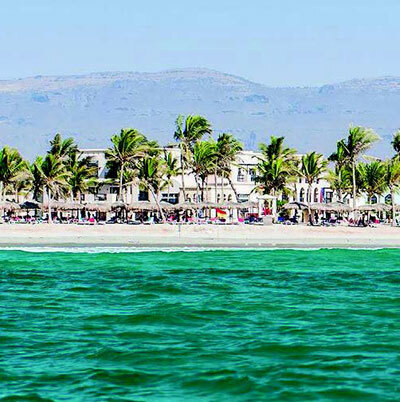 A touristic resort covering an area of 100,000 square meters and accommodating 60 Guest rooms, 3 stars Hotel, 10 VIP villas, 220 chalets with all related facilities. The total connected power is 5 MVA. Orphanage Residential & Educational house for all related facilities, total connected power is 2 MVA. River Nile, Egypt (Opened 1994). 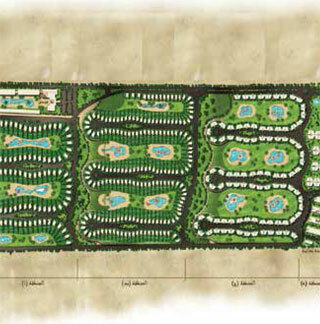 Working Drawings & Tender Documents for HVAC work. Working Drawings & Tender Documents for Electrical Works. 75 guest rooms, five stars Hotel. Working Drawings & Tender Documents for Lighting.